In addition, SPF 30 does not provide twice as much protection as SPF 15. On the contrary, looking at percentages, there’s not much of a difference between the two. 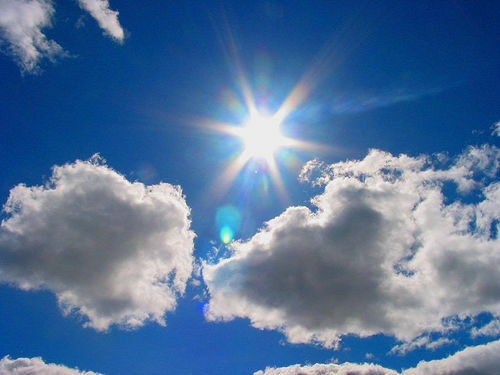 SPF 15 blocks approximately 93% of all UVB rays, while SPF 30 blocks 97% and SPF 50 blocks 98%. To top it all off, sunscreens that claim to be water-proof or water-resistant can be very misleading. If you’ve got your calculators out already, don’t forget to factor in that water-resistant sunscreens will wash off after about 40 to 80 minutes. When choosing a sunscreen, SPF 15 or 30 that is Broad Spectrum, meaning it protects from both UVA and UVB rays, is sufficient protection from the sun. Just make sure that you reapply every 2 hours, or about every hour when swimming, with a generous layer over your entire epidermis. Sunless tanning products, also called self-tanners, can give your skin a tanned look without exposing it to harmful ultraviolet (UV) rays. Sunless tanning products are commonly sold as creams, gels, lotions and sprays you apply to your skin. Professional spray-on tanning also is available at many salons, spas and tanning businesses. The active ingredient in most sunless tanning products is dihydroxyacetone (DHA). When applied to the skin, DHA reacts with dead cells in the outermost layer of skin to temporarily darken the skin’s appearance. The coloring doesn’t wash off, but it gradually fades as the dead skin cells slough off — typically within a few days. Most sunless tanning products don’t contain sunscreen. If you spend time outdoors, sunscreen remains essential. Sunless tanning pills, which typically contain the color additive canthaxanthin, are unsafe. When taken in large amounts, canthaxanthin can turn your skin orange and cause hives. Sunless tanning pills can also cause liver damage and lead to the formation of crystals in the retina of the eye (canthaxanthin retinopathy). What can you expect from sunless tanning products? Sunless tanning products typically go on clear. It usually takes about an hour to see results. Full color typically appears within eight to 24 hours. People who have medium complexions without freckles often get the best results. Topical sunless tanning products are considered safe alternatives to sunbathing, as long as they’re used as directed. The Food and Drug Administration (FDA) has approved DHA for external application to the skin. When airbrush tanning, it’s recommended to protect your eyes, mouth and nose, and avoid inhaling the product. Be sure to wear goggles and nose plugs, and hold your breath while the spray is being applied. Sunless tanning products can provide an even, natural-looking tan if they’re applied correctly and carefully. For best results, follow the package directions carefully. •Exfoliate first. Before using a sunless tanning product, wash your skin with a wash cloth or sponge to remove excess dead skin cells. If you typically shave your legs, do so before you apply the sunless tanning product for an even application. •Use a light touch. Apply the sunless tanning product evenly and lightly. Use sparingly on dry or thickened skin, such as over your ankles, knees and elbows. If necessary, ask someone to help you apply sunless tanner to hard-to-reach spots. •Save the tops of your hands for last. After you apply the product to your face and body, wash your hands with soap and water to avoid coloring your palms. Be sure to remove any product from under your fingernails. Then use a cotton ball to apply the sunless tanner to the top of each hand. •Take time to dry. Wait to dress until the sunless tanner dries completely. Everyone wants a healthy glow in the summer, but skin cancer is not worth the risk. Learn the advantages and the how to of airbrush tanning!